With almost 200 participants, Brussels successfully hosted European Association Summit 2017. With a 30% increase in interest compared with the previous edition, the summit has become a reference point when it comes to gatherings of representatives from international associations. This year’s event has a new formula offering three plenary sessions and 20 themed sessions staggered over an event lasting two full days. 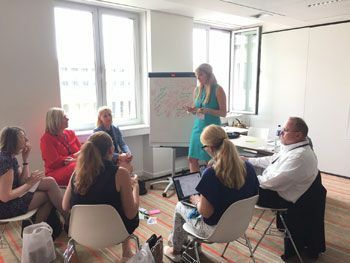 After an introduction concerning an innovative change vector presented by the Chairman of the European Broadcasting Union (EBU) Jean-Paul Philippot, visitors took part in workshops on different themes. Meeting in the Square, the associations also became more informed on fields such as finance, surveys, campaigns, strategy or management of partnerships, owing to experts from international associations and partners coming from different sectors. The conference ended by addressing the issue of cooperation for a stable European future owing to an exchange between the European Union’s think tank and international associations. There great recognition has been expressed for work carried out over these last few years in debates on the environment, climate and other social issues. The European Association Summit was also an opportunity for visit.brussels to celebrate the anniversary of the creation of the visit.brussels Association Bureau, whose aim is to assist international associations in their activities in Brussels owing to a unique point of contact. The Chairman for the 2017 publication of the event, Mr. Mohamed Mezghani of the International Public Transport Union, has emphasized the event’s great quality owing to almost 35 speakers present and the very active involvement of participants coming from all orbits. The next edition of EAS will unfold at the beginning of March 2018.